Meet Steve Tyrrell: children’s author, presenter, creative director of Digital Future Press. Writers Group Convention held their inspiring network meeting with writers and writing groups from all over Brisbane. I was thrilled to be a guest speaker, sharing my Super Power marketing tips for authors. 2018 Make it Your Year … 2018 is going to be MY year too! I’m setting Achievable Goals for 2018: Guaranteed for success! 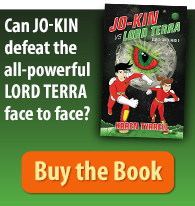 Digital Future Press publishes empowering books to energize kids and grown-ups to live strong. 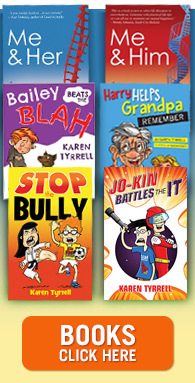 Karen Tyrrell (that’s me) published 9 highly acclaimed books barely mentioning my imprint. Now, it’s time to shout Digital Future Press to the world! Why I write? Authors must express WHY they write to connect with their readers. Writers must reveal what they stand for, and WHY they create the work they do–and for whom they are creating it. This is the Number #1 step for creating an authentic author platform. SUPERcharge your writing and publish your book. How? Who wants to create page-turning stories and characters bursting with vibrant energy? Write & Publish a Memoir Masterclass Want to write the story of your life? Your own personal story to inspire the world? 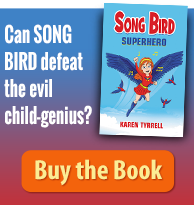 Join me, Karen Tyrrell, award winning memoir author and writing teacher. 2017 is going to be MY year!… I’m setting Achievable Goals for 2017: Guaranteed for success! As a resilience author – teacher – speaker (Karen Tyrrell) I’m aiming HIGH determined to attain my goals and dreams! My passions for writing, speaking and resilience will drive me in 2017. Let’s celebrate Mental Health Week and live our happiest, healthiest life. I, Karen Tyrrell award winning author, speaker on Resilience and Wellbeing celebrate Mental Health week, October 9-15.